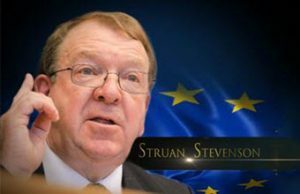 A paper published this month by Struan Stevenson, Coordinator for the Campaign for Iran Change (CIC), details the Iranian regime’s campaign to demonize the Mujahedin-e Khalq (MEK or PMOI). Stevenson’s detailed analysis describes the history and current actions of the ruling regime to delegitimize the MEK by vilifying the resistance organization. Stevenson describes the ways in which the Iranian regime has stepped up its campaign of disinformation against the MEK (PMOI) since the massive uprising in Iran beginning in December of last year. Large-scale protests took place in 140 cities across Iran. Protesters burned the offices of representatives of the Supreme Leader and invaded the Basij militia and Islamic Revolutionary Guards Corps (IRGC) centers. The uprising was only quelled by suppressive forces after two weeks of demonstrations. 8,000 protesters were arrested and to date, 14 have been killed while in custody. Despite the severity of the regime’s response, smaller protests have continued throughout Iran since the uprising was quelled. Stevenson notes that the regime was quick to acknowledge the MEK’s role in the uprising and to implicitly threaten protesters with execution. Agence France-Presse (AFP) reported that on January 2, President Hassan Rouhani asked French President Emmanuel Macron in a phone call to take action against the MEK, which is currently based in Paris, accusing the resistance organization of launching the uprising. President Macron refused his request. The regime’s response to the uprising was to brutally suppress the protests with mass arrests, torture, and executions. On February 8th, the regime reported the suicide of Dr. Kavous Seyyed Emami, a prominent environmentalist who had been arrested 15 days earlier on trumped-up charges. Ten prisoners were executed in Gohardasht Prison in Karaj on February 14th. Meanwhile in Albania, according to Stevenson, the regime has set its sights on the MEK (PMOI) refugees living there. The relocation of MEK members from Iraq to Albania provoked the ire of Iran’s mullahs, who had hoped to eliminate the resistance group while they were in Iraq. Since their relocation in 2016, the Iranian embassy has greatly increased its size and dispatched new diplomatic personnel to advance their agenda. 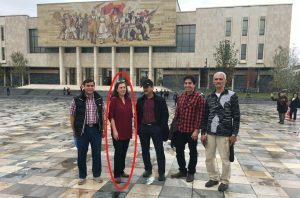 The regime has also deployed a large number of operatives to gather intelligence on the MEK members living in Albania and it has expanded its operations throughout the Balkans. In the 1970s, the Shah’s infamous secret service, Savak, cracked down on the MEK, imprisoning or executing most of its members and leaders, including Massoud Rajavi. Mr. Rajavi joined the MEK when he was 20 and was one of the group’s leaders. He was spared from execution through the efforts of his brother, Professor Kazem Rajavi, who launched a successful international campaign to spare Mr. Rajavi from death. Mr. Rajavi was imprisoned from 1972-1979, along with the majority of the MEK’s leadership and many of its members. According to Stevenson’s research, some rogue members used this power vacuum to usurp the organization and rebrand it as a Marxist group. The remaining MEK members outside of prison saw this coup as a betrayal of their founders’ vision and were vocal in their opposition. These members were suppressed, and in some cases murdered by the new leaders. The new Marxist leaders carried out several attacks against American personnel in Iran while using the MEK’s name. Stevenson points out that Mr. Rajavi denounced the individuals responsible for these attacks from prison. Upon his release in 1979, he and several other senior MEK (PMOI) members set out to restore the organization’s reputation and reaffirm its commitment to democracy and equality. During the 1979 revolution, the MEK supported the movement to overthrow the Shah and replace his rule with a secular democracy. Amidst widespread demonstrations, the Shah fled Iran. The Shah’s departure left a power vacuum in Iran, which was soon filled by Ayatollah Khomeini. Khomeini was a Shi’ia cleric who had been exiled by the Shah in 1964 because of his growing status as a religious leader and because of his denunciation of the Shah’s rule. He had recently returned to Iran and was perfectly placed to take power. He claimed to be a religious man with very little interest in the day to day running of the country. According to Steveson, Khomeini showed his true colors once he took power, refusing to set up a democratically-elected parliament, and opting instead to create an “Assembly of Experts.” These “experts”/clerics created a theocracy, wherein the clergy has absolute power. Khomeini appointed himself Supreme Leader. This was the birth of Islamic Fundamentalism. Iranian society changed overnight. The MEK refused to participate in the referendum on the Velayat-e-faqih constitution, believing it to be undemocratic. Stevenson describes Khomeini’s “reign of terror” against the opposition group. Khomeini decreed, “the Mojahedin of Iran are infidels and worse than blasphemers… They have no right to life.” Since then, over 100,000 MEK members and supporters have been executed by the regime, and dozens more have been assassinated outside of Iran’s borders. In the summer of 1988 alone, more than 30,000 political prisoners were executed in Iran, most of whom were MEK members. The violence against the MEK continues today. Mr. Stevenson’s paper describes the regime’s decades-long attempt to cover up the massacre, despite the efforts of the MEK. But on August 9, 2016, the son of Grand Ayatollah Hossein-Ali Montazeri, the former Deputy Supreme Leader of the Islamic Republic and the nominated successor to Ayatollah Khomeini, published a previously unknown audio-tape in which Montazeri admitted that the massacre had taken place and had been ordered at the highest levels. Faced with this climate of terror, many of the surviving MEK members fled the country, living in exile in Paris and other places in Europe and North America. Massoud Rajavi was forced into exile in 1981, but the MEK survived as an armed resistance movement, with its leadership working from France while MEK members in Iran worked as an underground movement. According to Stevenson, the MEK was forced to relocate to Iraq in 1986, after regime officials pressured the French government to expel the MEK in exchange for the return of French hostages. The residents of Camp Ashraf agreed to lay down their arms in return for protection by American forces. After exhaustive interviews with camp residents and screening, the U.S. government designated the MEK members at Camp Ashraf as “protected persons under the Fourth Geneva Convention,” acknowledging that the residents were not involved in terrorist activities and could not be charged with any crimes. Stevenson writes that the Iranian regime launched a series of attacks against the MEK, attempting to discredit the group by taking out a series of print ads, falsely calling them “friends of terrorists.” These ads, placed by the MOIS, would sometimes contain a web address to substantiate the claims, but the websites did not exist. The MOIS made false claims in media outlets in a further attempt to vilify the organization, using spurious information. The regime saw the MEK as a threat to its stranglehold on Iranian citizens and used every means available to smear the resistance group with outright lies and unsubstantiated claims. In January 2009, American forces left Iraq, leaving the defenseless MEK members without promised protection. According to Stevenson, the Iranian regime applied pressure on Iraqi leaders to expel the MEK residents from Iraq, using threats of further attacks against camp residents and deception. The Iraqi government agreed to move the MEK residents to a new compound named Camp Liberty. The regime had hoped to force camp residents to return to Iran, where they would face imprisonment and execution. When that did not happen, the regime launched deadly missile strikes, the largest of which killed 24 residents, wounded many others, and destroyed part of their camp. Then-Secretary of State John Kerry condemned these acts of violence. Stevenson reports that Mrs. Maryam Rajavi negotiated with high-ranking officials in Albania to relocate the MEK residents to safety in Albania. Her efforts were successful and were supported by UNHCR and the U.S., including John Kerry, who traveled to Tirana to meet with the Albanian prime minister, Edi Rama. Rama agreed to the relocation, and the 3,000 residents were flown to Albania, angering the Iranian regime. In response to this humiliating defeat, Tehran deployed a task force of MOIS agents to Albania and greatly expanded their embassy in Tirana, appointing more than a dozen new cultural attaches to the formerly junior outpost. According to Stevenson, the regime then launched a propaganda attack against the MEK, using known MOIS operatives to make brazenly false allegations against the resistance group, including claims that the MEK was responsible for the deaths of civilians and accusing them of terrorist acts. This was accomplished through a network of operatives known to be working with the MOIS, including Anne Singleton, who was photographed outside of Camp Ashraf and Liberty before deadly attacks on both camps. According to Stevenson’s research, the report proved that the Iranian regime feared the MEK and sought to vilify the organization through the use of MOIS agents. By naming Anne Singleton, the report confirmed that the false propaganda against the MEK was generated by the regime. It also made clear the extent of activities by the regime and its operatives against the MEK and revealed conspiracies to control members and plans to murder citizens. Finally, the report reaffirmed the findings of courts in the U.S., U.K., France, and the E.U., which ruled that the MEK should never have been listed as a terrorist organization, as the classified information that supposedly led to their listing was based upon information supplied by MOIS agents. The MEK was delisted after proving all of this in court, and the Pentagon report further supported their findings. Stevenson’s paper details the alarming manner in which the Iranian regime has helped to spread Islamic Fundamentalism to the Balkans. The spread of Islamic Fundamentalism is a growing concern for all democratic societies. Iran has positioned itself to promote this kind of fundamentalism across the Middle East and into the West as well. In the Middle East, Iran stokes sectarian conflict by interfering with domestic affairs in other countries. Perhaps more worrisome is the Iranian regime’s habit of quietly taking over business and political interests in other countries in order to promote its worldview. Tehran has built a number of schools, mosques, and clinics in Lebanon and Iraq, under the pretense of helping deprived communities. The regime distributes fundamentalist literature and teaches Quran classes in those settings, which has led to the formation of terrorist and sectarian groups across the Middle East. Mr. Stevenson describes the shift in the regime’s focus in recent years. The regime has taken its fundamentalist campaign to the Balkans, specifically Albania. The regime started a college in Albania to promote fundamentalist Islam while undermining the PMOI presence in Tiran. Abdul-Ali Asgari, head of the Islamic Republic of Iran Broadcasting (IRIB) and Mohammad Akhgari, deputy chair of IRIB international affairs, launched “Pars Today,” a propaganda machine disguised as a television news network. The network also includes a website, called “Parrena.” Both of these media outlets routinely disseminate lies and propaganda against the MEK. Stevenson reports that the Iranian regime’s propaganda machine uses intelligence agents outside of Iran to spread disinformation about the PMOI. Dozens of these agents have been unmasked, with many of them masquerading as “Iranian experts.” This cover allows them to spy and launch attacks against MEK members and to spread misinformation about the organization. This strategy has been increasingly employed in Albania. The regime has even used MOIS agents to speak as former MEK members, spreading false and malicious lies about the organization. Three of these agents gave an interview on an Albanian news network that was produced by the Iranian embassy in Albania. These agents were briefed by Anne Singleton before their appearance. against their will.” Ms. Gomes’ false sympathy stands in stark contrast to her silence when MEK members were repeatedly attacked and killed by the regime while they were refugees in Iraq. In March of this year, Albanian authorities arrested two Iranian agents who were suspected of spying on MEK members. The agents claimed to be journalists. Another ten Iranian citizens have been held by Albanian police on suspicion of planning terrorist activities against the MEK. 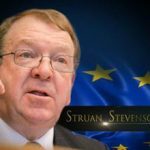 According to Stevenson, the Albanian government is justified in its fear of the Iranian regime. Since the beginning of this year, there have been numerous reports of covert surveillance activities outside of National Council of Resistance of Iran (NCRI) offices in Berlin and Washington, D.C. These activities point to a serious threat of terrorist actions against Iranian opposition groups. The U.S. government has acknowledged the flagrant and systematic human rights violations perpetrated by the Iranian regime. The U.S. Treasury Department has listed the Islamic Revolutionary Guards Corps (IRGC) as an international terrorist organization. The Quds Force has been on the same list for years. These organizations are the primary groups used to spread Islamic fundamentalism outside of Iran. The Iranian regime supports the tyrannical regime in Syria, which has massacred scores of its own people. It supported the Shi’ite militias who murdered Sunni families and destroyed cities in Iraq from 2014 to 2017. The regime is responsible for spreading death and destruction throughout the Middle East and hopes to do the same in the Balkans. One of the more disturbing parts of Stevenson’s paper is his description and analysis of Iran’s use of MOIS members, including some former MEK members. The MOIS has a talent for finding MEK members who have voluntarily left the organization and attempting to recruit them, using threats and bribes. Though most refuse to cooperate, the few who do are used as weapons against the MEK. These agents make outrageous and false allegations of abuse and torture, and sometimes their claims are repeated in Western media outlets, who then publish easily refutable claims of cult-like activity by the MEK. Davood Baghervand Arshad was a MEK member who left Camp Ashraf because of the difficult situation there. He was offered amnesty by the Iranian government and was subsequently recruited by the MOIS and trained to work against the opposition movement. He has been seen frequently in European Parliament, notably with Ana Gomes. Stevenson describes how the network of Iranian spies in Europe has carried out a number of assassinations of dissidents, engaged in espionage activities, and spread disinformation about the opposition. Saeed Karimian was assassinated on April 29, 2017, in Turkey. The television executive had previously been condemned in absentia by a Tehran court for spreading propaganda. Ahmad Mola Nissi, an opposition activist, was assassinated on November 8, 2017, by Iranian operatives in the Hague. Four Iranian Kurdish dissidents were assassinated in 1992 in a Berlin restaurant. A German court found that the assassinations were carried out by high-level MOIS agents at the behest of the Iranian government and expelled all MOIS agents from the EU. This sanction was lifted in order to appease the Iranian regime. That move presents a danger to current opposition activists. Numerous agents from countries across Europe have been revealed as spies for the regime and sentenced by European courts. More agents are currently operating in Europe, where they pose a clear and present danger to MEK members and activists. Stevenson’s paper describes the massive lobbying effort undertaken by the Iranian regime. The regime has huge sums of money devoted to lobbying against the MEK and the opposition movement. It gives money to universities through fake charities. One of these charities, the Alavi Foundation in the U.S., is currently under investigation for money laundering and violation of the International Emergency Economic Powers Act. According to Stevenson, Iranian lobbyists use trained foreigners as lobbyists to add to their credibility and uses those foreigners to spread misinformation about the opposition movement. A number of these lobbyists attend the annual U.N. Human Rights Council meetings in Geneva. The regime has also been known to set up NGOs controlled by the state in order to spread falsehoods. it as a terrorist cult,” he said. Thompson refused the offer. Stevenson writes that the regime increases its lobbying efforts when Maryam Rajavi is scheduled to visit parliaments in Europe, using its ambassadors to apply pressure in attempts to prevent such visits from occurring. Failing that, the regime uses the occasion of such visits as a chance to spread more propaganda about the MEK and NCRI. Western delegations to Tehran receive the same false messages. MEPs who are sympathetic to the Iranian opposition movement are often targeted by MOIS agents claiming to be former members of the MEK. 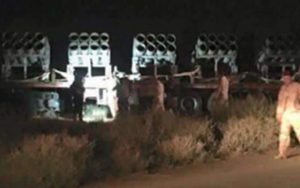 In this manner the Iranian regime and its MOIS agents inundate policymakers with misinformation and outright lies, hoping to delegitimize the opposition movement in order to maintain their oppressive rule. in Iran, and as such, the regime has devoted large amounts of time and money to demonize the resistance organization. Because of the recent uprising, Tehran has stepped up its campaign of misinformation against the MEK. Past experience has taught that these actions tend to lead to violent attacks on the MEK. Despite the lies and propaganda spread by the Iranian regime, the MEK has widespread support both in and outside of Iran. The MEKs allies have the power to prevent MOIS agents from infiltrating parliaments and carrying out their smear campaign against the MEK. Stevenson’s paper can be downloaded in its entirety for free here.